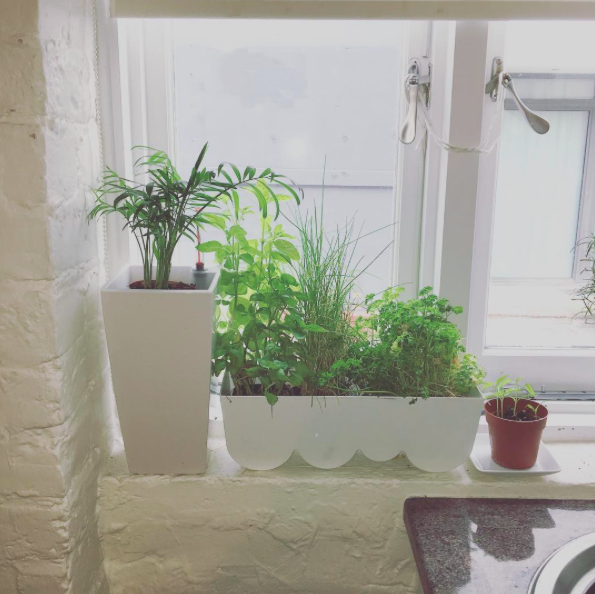 A little bit of greenery can make all the difference, am I right? Perusing my local garden centre and nearby florists has become somewhat of my weekly routine. 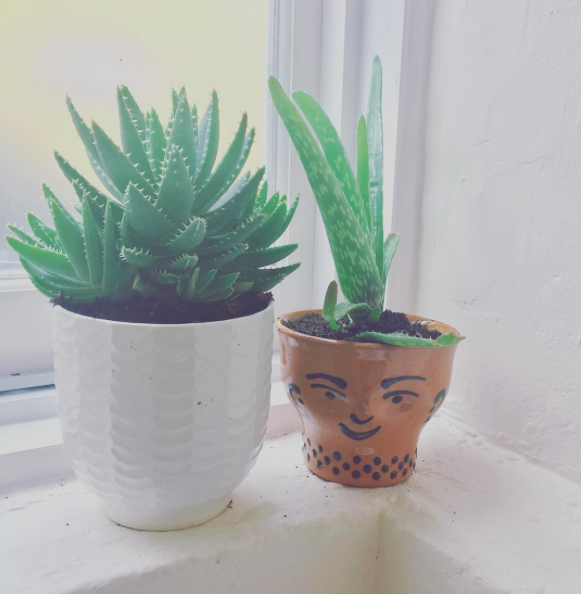 From cacti to succulents, ferns to flowers, I cannot have enough plants. 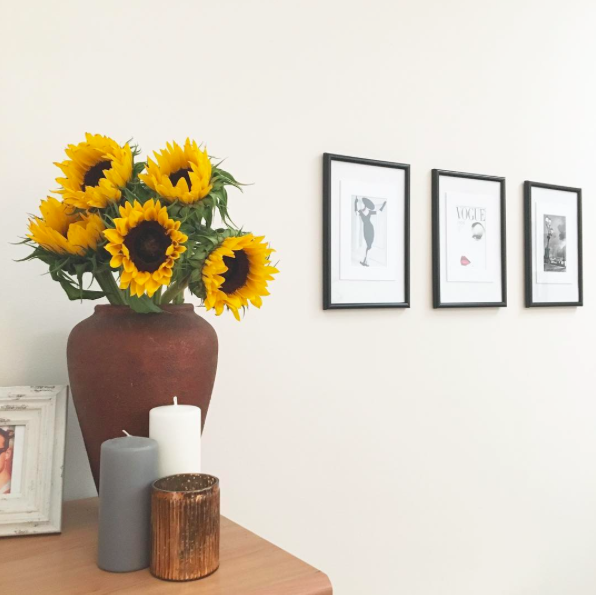 They have truly changed the vibe in our flat for the better. In addition to adopting lonely plants in need of a home, maintaining my herb garden has become somewhat of a hobby. There’s just something so satisfying about topping a caprese salad with home-grown basil. I also love making Spanish or Thai inspired dishes, so coriander is obligated to make a hefty appearance. Home is where the heart is. Or in my case, home is where my plants thrive. 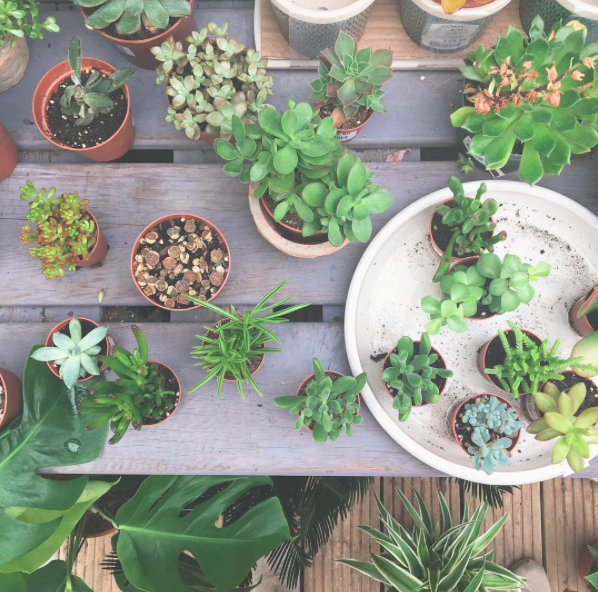 Which plants are a must in your home decor scheme? We’ve all experienced that immediate obsession with a new dress, handbag or necklace, where you just can’t stop looking at it… that’s the exact situation I’m in and I’m not fighting it. 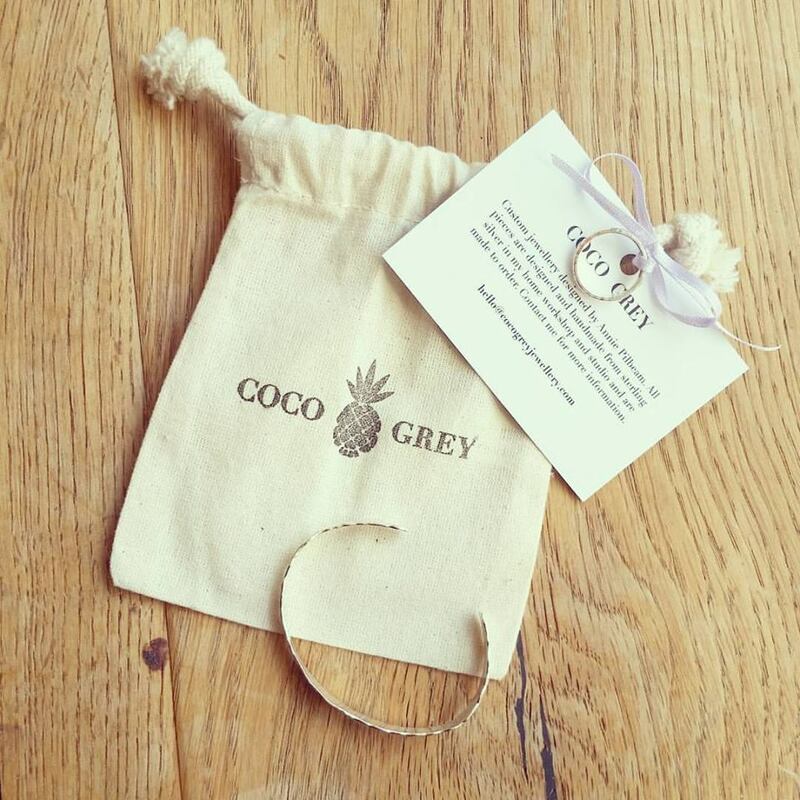 This stunning handmade textured silver bangle with matching ring from Coco Grey Jewellery are the absolute DREAM. We all need a little “TREAT YO SELF” in our lives. But really, I’m in love. Designed and crafted by my dear friend Annie, who started this fab line, the stunning pair are the ultimate dynamic duo. Carefully executed with an immense attention to detail, these classic and sophisticated pieces are the perfect staple accessory for any style. In addition to sleek, classic items, you’ll find skull necklaces (OBSESSED), oxidised silver, initial necklaces and more! It’s safe to say I want absolutely everything. I think I’m going to have to add more sparkle to my jewellery collection with more handmade pieces… because who wants to be like everyone else anyway? Since my office is approximately 40 degrees at all times, I have an abundance of booties. That’s right – I wear booties in the 90 degree DC summer heat … no shame for this girl! Flat booties, heeled booties, beige booties, suede booties, leather booties, studded booties … you name it, I’m a fan. My summer intern took notice and asked me to put together a “wish list” of my dream booties for when she returns to the West Coast. 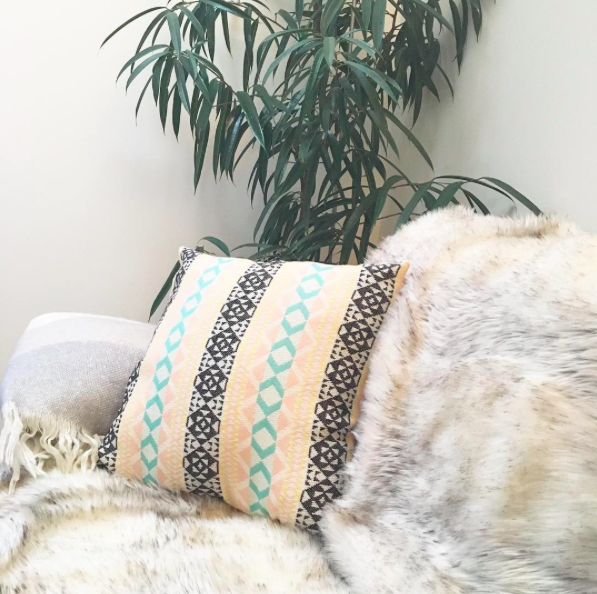 As I started compiling my list I realized OH MY GOD, my bank account is going to hate me in the next few weeks because so many gorgeous styles are up for grabs this fall. Here are a few of my favorites of my bottomless booties list. First up are Steve Madden’s Caveat leather booties. I mean come on, how amazing will they look with leather skinnies?! I personally love them in black, but they also are available in their cognac shade of brown. You know it’s bad when your iPhone autocorrects “also” to “Aldo” – yep, that’s me. I have a ridiculous Aldo obsession. Their Allie booties are no exception. In my eyes they are PERFECTION. I love the contrast between the lighter beige leather and dark side buckle. Ugh, get in my closet right now! What a surprise, another Aldo pair! When I first stumbled upon Aldo’s Vallorc ankle bootie I assumed it would be the perfect shoe for walking around the city on a brisk fall day. The flats look durable and comfy, not to mention will go with a variety of clothing options — everything from a casual shopping day ensemble to a nice dinner with the girls. Chinese Laundry’s Bizarre heeled bootie is another beauty. The hue is gorgeous and the open sides give it a little something extra. And who doesn’t love buckles? The height is high enough for a night out of the town, but not too high for the office. Practical and trendy. 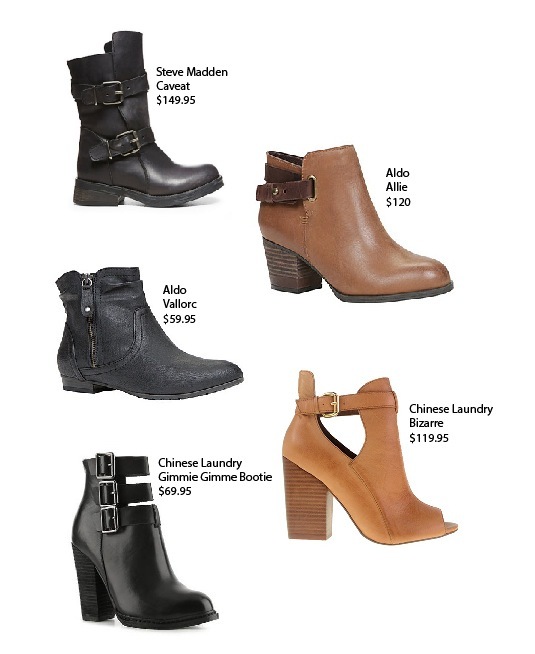 Last on this list — the Gimmie Gimmie Bootie by Chinese Laundry, which I actually stumbled upon on DSW’s website. Although these are too high for the workplace, I think they are the perfect shoe to throw on when heading out to the bar and even the club. 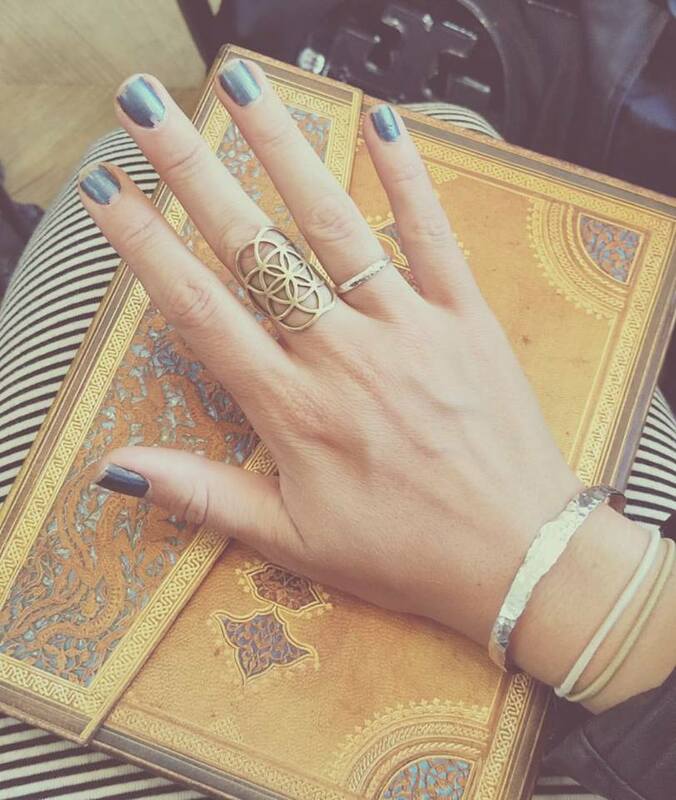 Pair them with skinnies and you’re golden! Gimmie! Which ones are your favorite? Are booties on your fall wish list? So the last few weeks I’ve become completely obsessed with knit head wraps. After buying a burgundy knit wrap for a Redksins game last week from Aldo, three more wraps (magically) appeared in my shopping bag just two days later. If that’s not an obsession, I don’t know what is! They’re a great way to keep warm and add a little something extra to your winter ensemble, which is completely necessary considering it’s snowing in D.C. right now. My personal favorites have a cute feminine bow on the side. 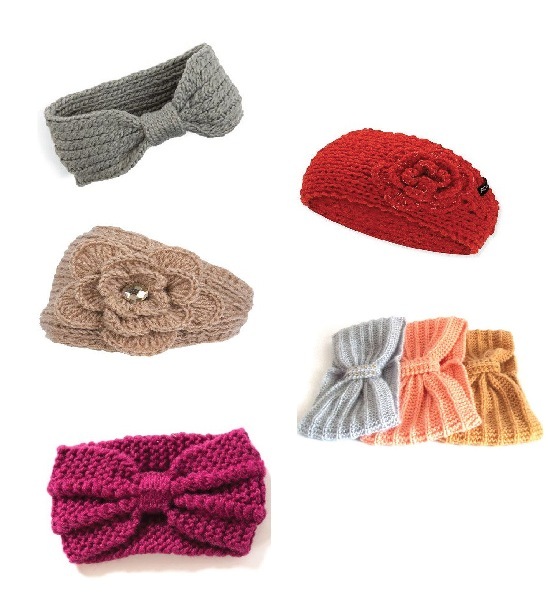 Not to mention these winter accessories make wonderful Christmas presents! 🙂 Which one is your favorite? 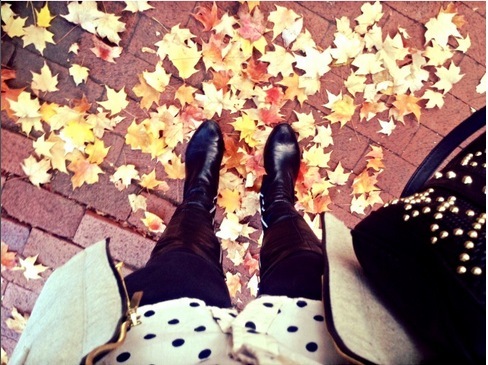 My Zara peacoat, Michael Kors knee-high leather boots and MMS studded satchel from Marshall’s were my essentials for today. I also threw in a splash of gold jewelry with my faux turquoise stackable gold rings from Forever 21, as well as my gold and black statement necklace from Nordstrom. Just a few of my favorite accessories. What are yours? This fall, studs are everywhere – and thank goodness – because my obsession with these gold and silver accents is growing exponentially. From arm candy to fall flats, sheer collars to evening clutches, studs are in full swing. Here are some of my favorite ways to add that little bit of edgy gold shimmer to both day and night looks. What’s your favorite? How do you rock the studs?